Image of Nokia's 'Sea Ray' reveals virtual buttons? We're not so sure. 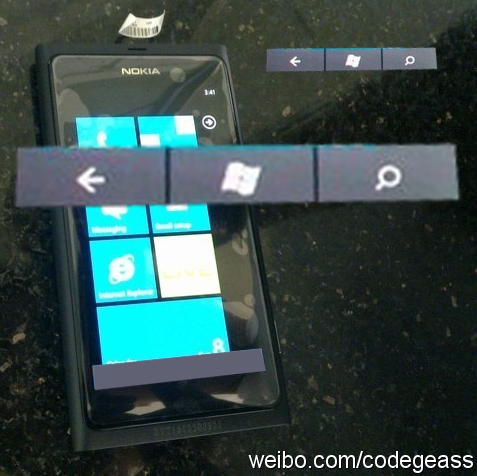 Curious thing: during the leaked video of the Nokia's 'Sea Ray' Windows Phone, we actually never see the three-buttons for Back, Win and Bing Search. This lead to the natural speculation that there would be capacitive buttons, like other Windows Phones. A new image has come forth though of the device and it shows, in fact, that there may be 'virtual buttons' meaning they are on the screen. But instead of taking up the 800x480 real-estate, they are probably using an 854x480 screen, much like the N9 that this so closely resembles. 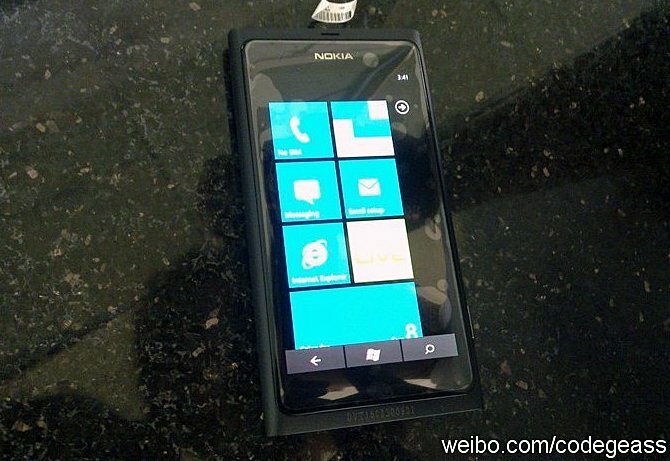 Those buttons look like the WP7 emulator's, big time. Very suspicious. At this point, we're not confident that this is legit, or if it is real, not final. Either way, we're not crazy about the sharp corners of 'Sea Ray'. There's a reason why the Focus feels so nice in the hand (and even the LG Quantum) and it has to do with the smoothness of the design. If these virtual buttons are here to stay, it's not too much different than capacitive buttons, but we're not crazy about the idea. Finally, this looks more like the 'Sea Ray' is just a modified N9 rather than a "ground up" Nokia Windows Phone, making it slightly less interesting, in our opinion. Update: Reader swc_ant has a nice comment based off his experience working on phone hardware. We agree with his assesment that it's a sticker/tape serving as a place holder.